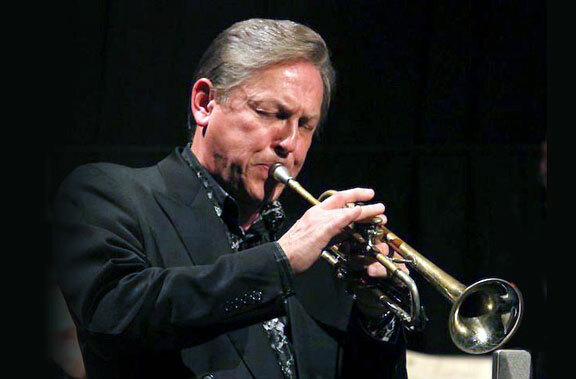 Trumpeter/hornist Jeff Stockham is well-known to Upstate New York music fans. A graduate of the Eastman School of Music and a veteran of the renowned Eastman Jazz Ensemble, his performance credits read like a Who’s Who of the upstate New York music scene. He has performed with the Central New York Jazz Orchestra, Salt City Jazz Collective, the Stan Colella Orchestra, the Mario DeSantis Orchestra, The Fabulous Ripcords, Second Line Syracuse, The Blacklites, The Destination, Little Georgie & the Shufflin’ Hungarians, Larry Arlotta, the Bearcat Jass Band, the Syracuse University Brass Ensemble, Joe Salzano & the Blue Devils, Atlas, Danny D’Imperio’s Big Band Bloviation, the Syracuse Symphony, the Rochester Philharmonic Orchestra, and many other regional mainstays. He has backed up numerous national artists including Tony Bennett, Frank Sinatra Jr., Rosemary Clooney, Aretha Franklin, Josh Groban, Harry Connick Jr., Robert Goulet, Natalie Cole, Johnny Mathis, Wayne Newton, Tommy Tune, Marvin Hamlisch, Jeff Muldauer, Al Martino, Don Rickles, Jimmy Cavallo, Jerry Vale, Leslie Gore, Shari Lewis, and many others. He has been a member of the orchestra for the national touring company of Les Miserables. He has toured Europe and Africa with Chicago blues guitarist Jimmy Johnson. He was a member of “Dreaming The Duke”, a project blending jazz and classical treatments of the music of Duke Ellington, which featured vocalists Nnenna Frelon and Harolyn Blackwell. 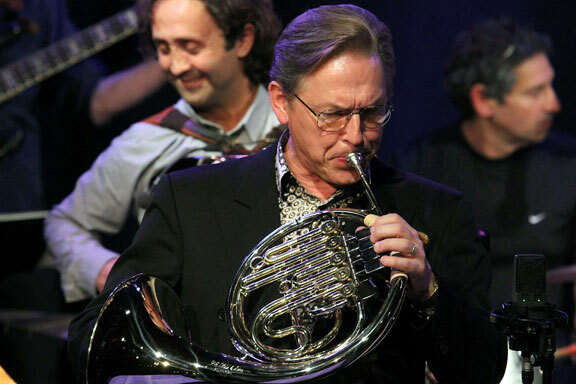 Jeff is also one of the few musicians worldwide to play jazz on French horn. He was a Featured Artist at the 2016 International Horn Symposium at Ithaca College, performing classic jazz that utilized French horn, and will be a Featured Artist at the 2018 Mid-South Horn Workshop. He is trumpeter and French hornist in Thelonius Monk Jr.’s “Monk on Monk” big band, with which he has toured Europe, Israel, and the United States several times, and with which he has had the opportunity to perform in concert with jazz luminaries such as Ron Carter, Herbie Hancock, Bobby Watson, Wallace Roney, Don Braden, Howard Johnson, Ronnie Matthews, Danilo Perez, Gerri Allen, Diane Reeves, Nnenna Frelon, Jacky Terrasson, Helen Sung, James Knowles, Bobby Porcelli, Kevin Mahogany, Marcus Roberts, Willie Williams, John Fedchock, and Joe Henderson. He has also appeared in concert on trumpet in the T.S. Monk Sextet. With the “Dreaming The Duke” Ensemble, he has performed with such world-class musicians as pianist Mike Garson (known for his work with David Bowie), sopranos Nnenna Frelon and Harolyn Blackwell, drummer Adonis Rose, saxophonist Virginia Mayhew, trombonist Andrew Hunter, and violist Ron Lawrence. 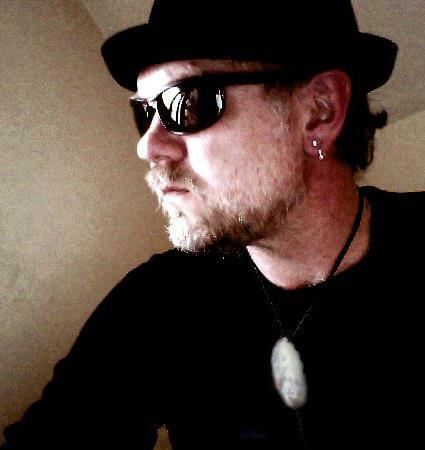 Jeff has also been a member of the George Gruntz Concert Jazz Band, one of the preeminent jazz ensembles in Europe. The personnel included such celebrated musicians as Lew Soloff, Howard Johnson, Joe Magnarelli, Alex Sipiagin, Dave Bargeron, Scott Robinson, Gary Smulyan, Chris Hunter, Sal Giorgianni, Luciano Biondini, and Tanya Darby. 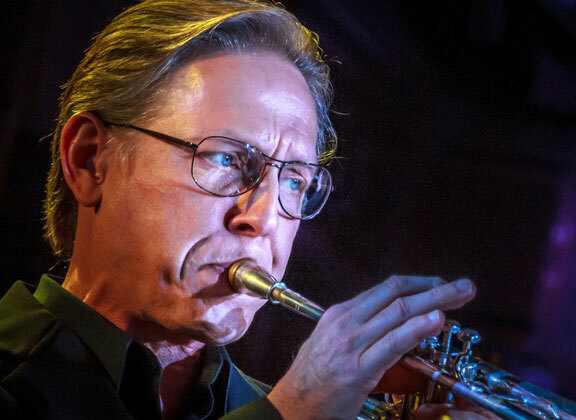 As a charter member of the Central New York Jazz Orchestra, he has performed over the last 20 years with a host of top jazz artists including Clark Terry, Rob McConnell, Phil Woods, Eddie Daniels, Howard Johnson, Houston Person, Marcus Printup, Wallace Roney, Joe Locke, Bill Dobbins, Jimmy Heath, Claudio Roditi, Al Vizzutti, Dan Miller, Byron Stripling, Michael Phillip Mossman, Bob Berg, Antonio Hart, Bob Mintzer, Gary Smulyan, Rufus Reid, Michael Davis, Slide Hampton, Kevin Mahogany, Diane Schuur, and many others. I recently chatted for a while with Jeff while hanging out at ever-increasingly popular open jam at the Limp Lizard in Liverpool. Chuck Schiele: How long have you been playing? Jeff Stockham: I started piano lessons in 2nd grade, in 1966. I’ve been playing brass instruments for just over 50 years. -I started on French horn in the fall of 1968, when I was 9 years old. I’ve been playing trumpet since 1975. CS: How did you get started and what influenced you? CS: You’ve been on this scene long time. Please share with us some of your projects and involvements. Jewett’s CNY Songbirds concerts (Babylon Sisters, Ladies’ Night At The Palace, The Disco Ball, etc. ); I’ve done the last two BeatleCuse concerts; I contract the horn section for area shows with Professor Louie & the Crowmatix; I play in several recreated Civil War brass bands including the Federal City Brass Band/26th North Carolina Regiment band, President Lincoln’s Own Band, the 47th Pennsylvania Regimental Band, and my own Excelsior Cornet Band, as well as a Victorian Era brass band, Newberry’s Victorian Cornet Band; I lead several other groups including my sextet The Jazz Police, my swing era big band The Stock Market Swing Orchestra, and the Jazz Horn Legacy Sextet which performs classic jazz that utilized French horn; I’ve done a lot of musical theater at Syracuse Stage, Cortland Repertory Theatre, and with Famous Artists Series, although not so much these days; and I play in Thelonius Monk Jr.’s “Monk On Monk” big band with which I’ve toured the US and Europe. Over the years I’ve played in a lot of seminal CNY musical groups including Atlas, the Blacklites. Little Georgie & the Shuffling Hungarians; the Mario DeSantis Orchestra, and the Bearcat Jass Band. CS: Wow! Incredible. There must be a few highlights that stand out. 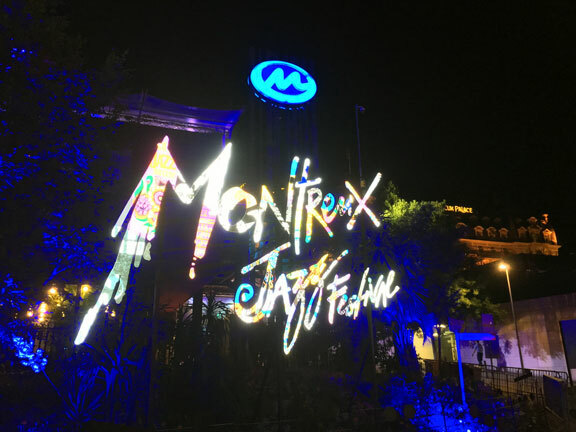 JS: The first memorable highlight was touring Europe with the Eastman Jazz Ensemble and playing the Montreux Jazz Festival in 1982. Since then I’ve toured Europe and Africa with Chicago blues guitarist Jimmy Johnson; toured in the pit orchestra for a US tour of Les Miserables; done several tours of the US and Europe with T.S. Monk; played two European tours with the George Gruntz Concert Jazz Band (George’s alumni are a Who’s Who of jazz luminaries); toured with a jazz/classical ensemble called Dreaming The Duke, which was led by David Bowie alumnus Mike Garson and played re-imaginings of Duke Ellington’s compositions; I performed several times as a jazz trumpet soloist with the Syracuse Symphony; and performed on-camera in movies and TV shows including Stephen Spielberg’s “Lincoln” and in “House of Cards.” Back in the days when the NY State Fair hired local musicians to back up the acts I was fortunate to have performed with Tony Bennett, Rosemary Clooney, Johnny Mathis, Wayne Newton, Natalie Cole, Bowser from Sha Na Na; and I’ve also played in the local backup band for Frank Sinatra Jr., Don Rickles, Tommy Tune, Josh Groban, Aretha Franklin, Marvin Hamlisch, Robert Goulet, and Harry Connick Jr., among others. I’ve been a featured artist at the International Horn Society’s 2016 International Horn Symposium and the 2018 Mid-South Horn Workshop, playing jazz French horn. It’s been a wild ride. JS: On a tour with T.S. Monk, we were flying from Frankfurt to Madrid for a concert, and Lufthansa somehow didn’t load my trumpet and French horn on the plane. I arrived in Madrid with no instruments. Several panicked calls later, our awesome Spanish road manager was able to procure some borrowed instruments from local musicians –and they were better horns than mine, for which I was deeply grateful! When we got back to Frankfurt, there were my horns at the luggage office. At least they weren’t lost! Another one: On my first tour with George Gruntz, a bunch of us were having lunch after rehearsal. Lou Soloff (who had played trumpet with Blood, Sweat, & Tears) and jazz tuba giant Howard Johnson were talking with a fellow and his wife. Lou introduced me and my wife to the other couple: “Have you met Jimmy and Jayne?” We exchanged pleasantries, and as we chatted, the content of the conversation and “Jimmy’s” Irish brogue slowly brought me to the realization that we were in fact talking with legendary flute players Sir James Galway and Lady Jayne Galway! Of course, I was starstruck. CS: Who do you think is playing it right these days? Who impresses you? JS: Terence Blanchard. Nicholas Payton. Randy Brecker. The late Roy Hargrove was doing it right, too. 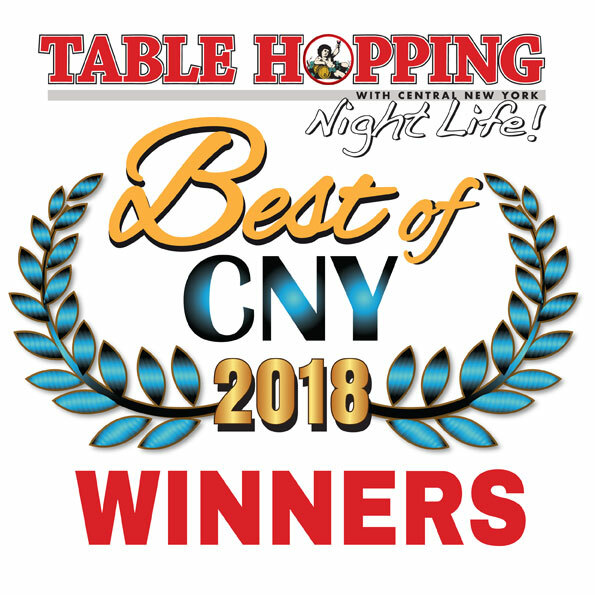 CS: Your thoughts on the CNY scene. JS: We are so blessed here in CNY. We have an embarrassment of riches when it comes to fine musicians and excellent music. Lots of terrific jazz musicians here. Over the last few years I’ve become more involved in the region’s rock and roll scene and I’m blown away by the quality of our local cats – both as musicians and as great human beings. I’ve been to a lot of places and some of them are pretty barren musically. There’s just so much talent and so much love here, we really don’t know just how good we have it. JS: Shut up and play. Let your music speak for itself. Learn from the area’s experienced professionals. Don’t cut corners. Become a complete musician so that you can serve the music. And, don’t get caught up in the race to the bottom. Place a value on your music and stick to it. If you play for free, that’s what your talent is worth, and it negatively impacts all the other musicians in the region. Learn how to say “no,” but then play in public every opportunity that is monetarily justifiable or that can actually propel your career. But don’t let yourself be taken advantage of, and don’t undercut your fellow professionals. They will remember it if you do. CS: Great advice, indeed. What’s coming up for you in the near future? JS: Lots of freelance stuff, including new recordings with Little Georgie; some more dates for my Stock Market Swing Orchestra; and some fun stuff this summer including the Vintage Band Festival in Minnesota, a baroque music festival in West Palm Beach, Military Through the Ages in Jamestown VA with a Civil War band, plus my usual work with all those regional groups. And if anyone is looking for used or vintage brass and woodwind instruments, I always have good student and vintage instruments for sale! CS: How can we all keep track of your performances?